Multi-setting traction-control, wheelie contril, launch control and cruise control. Uses six-axis Inertial Measurement Unit (IMU). Full data-logging capability including: lap times, max lean angle, max speed, max throttle and max braking force. Engine modes - Road, Sport, Pro-Race. Cast twin tube shotgun chassis, cast outriggers and headstock, polished tubes. (tbc). Engine acts as a structural member. Chassis is fully-adjustable including swingarm pivot and adjustable rake angle. 23.9 degree steering head angle as standard set-up. Braced and underslung single-sided cast swingarm. 570mm long, design developed in conjunction with SG5 TT race bike. 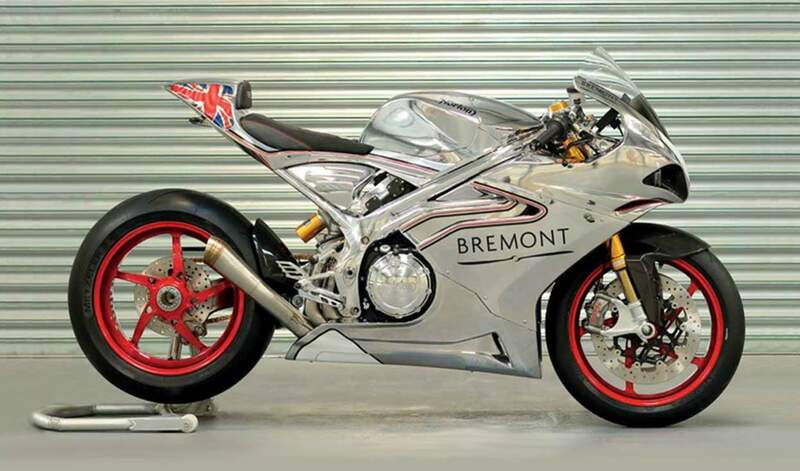 Chassis design was developed at the world’s most rigorous race track – the Isle of Man TT. The geometry, weight distribution & ergonomics were all tested and developed on the SG5 TT race bike which finished seventh at the Superbike TT and achieved a near 130mph average speed lap in 2016 at the hands of Australian rider David Johnson. Two versions are being made. 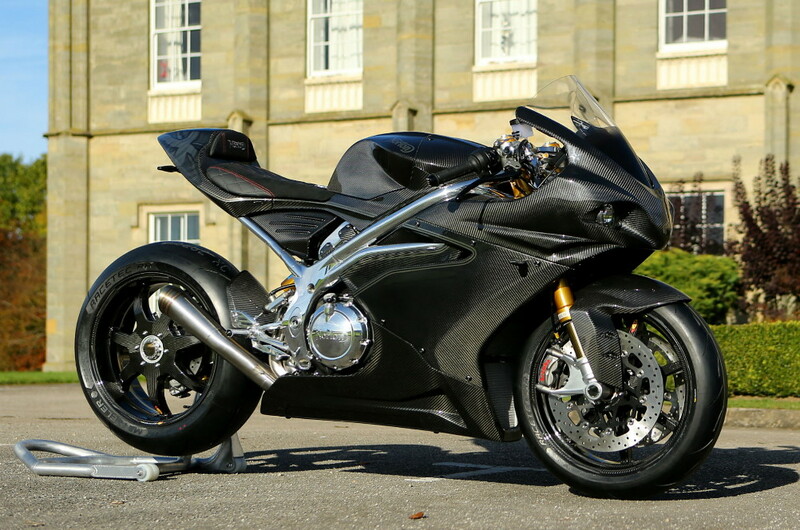 A 200-off, limited-edition ‘SS’ model finished in bare carbon fibre and with carbon BST wheels and 250 more affordable ‘RR’ models. The V4 RR version gets forged wheels and a distinctive chrome paint finish. Both bikes use a new 1200cc V4 engine. The show bikes also feature unusual tech including a rear view camera and a colour TFT display. 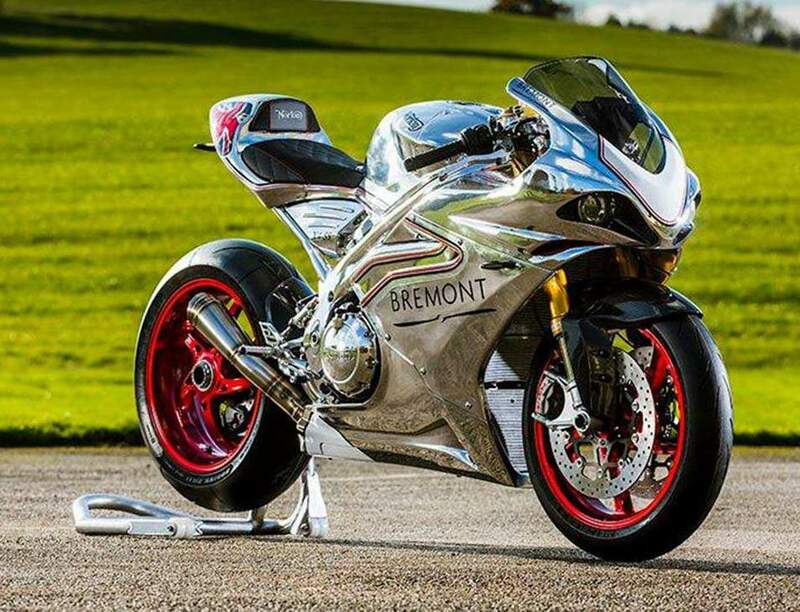 To comply with road regulations, Norton is likely to have to fit mirrors to production versions, though. 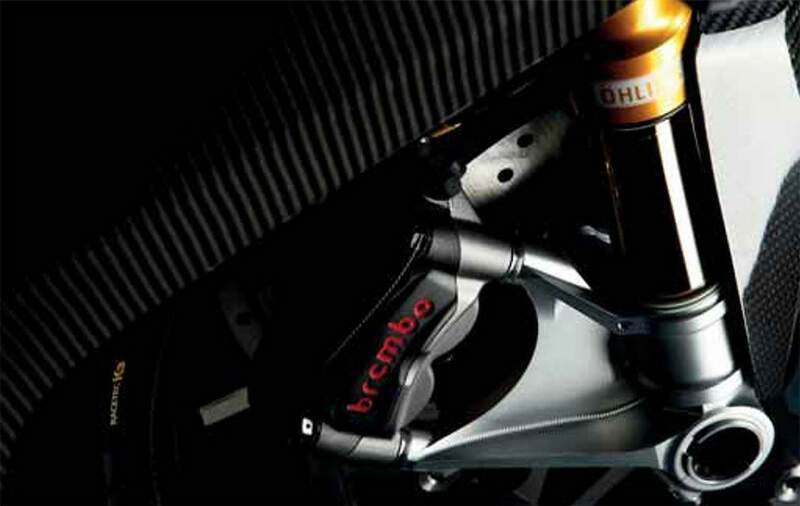 The suspension and brakes are typical superbike fare from Ohlins and Brembo, with Bosch supplying the electronics including traction control and a six-axis IMU. 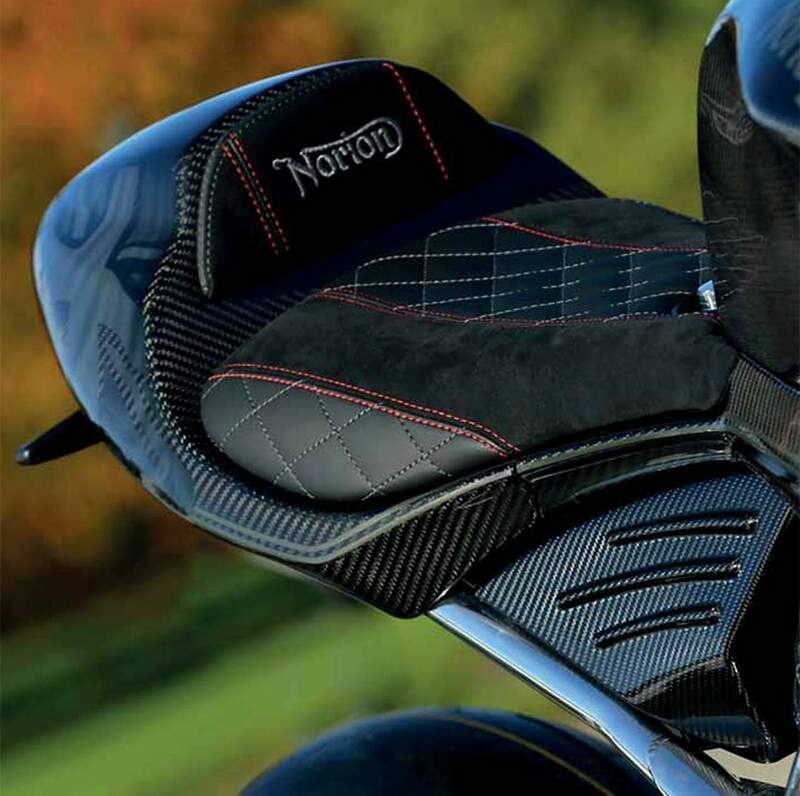 The underseat MotoGP-style 18-litre fuel tank is all carbon-fibre, with Kevlar reinforcement and chemically coated internally to meet fuel resistance standards. Forged footrests, footplates and carbon heel guard. Cast sproket cover. Full titanium race system aftermarket tune, of approx 8kg lighter and approx 10bhp+ is available as an optional accessory. 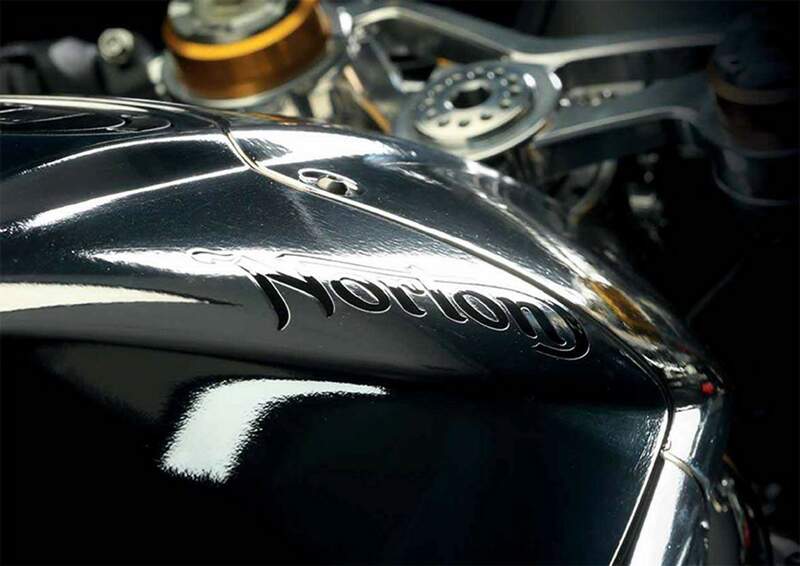 "The new V4 takes Norton forwards," said CEO of Norton Stuart Garner. "When we got the brand we always wanted to be modern and to make modern bikes. 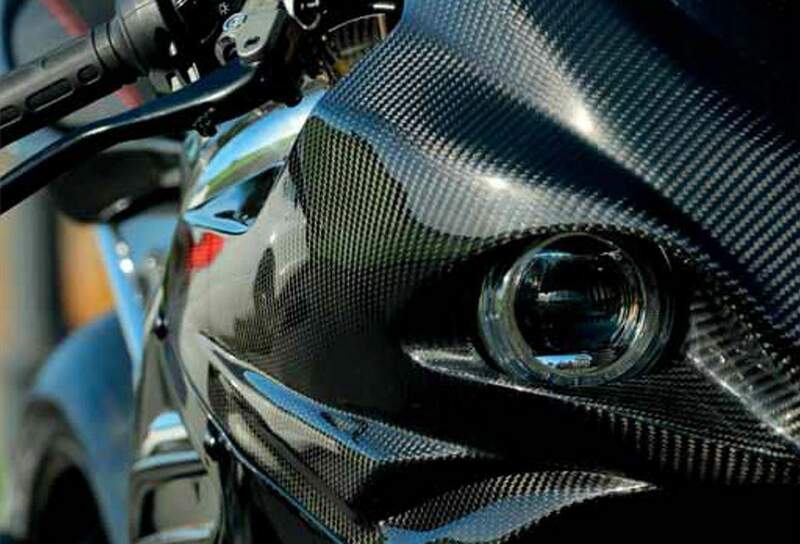 "The budget and resources needed for design engineers and a supply chain to make a bike that is not embarrassing, something that can stand up against BMW's RR or a Ducati Panigale, or an R1 or a Blade is just huge. "Those guys have spent tens and tens, or hundreds of millions of dollars and have ten, twenty, thirty years of development behind the platform - and for us to go into that arena and not be embarrassed is a massive ask."